One of the most important developments in the world of technology has been machine learning. It is a comprehensive set of data algorithms and code, pumped into an application or software that automatically makes changes based on trial and error with human interaction. 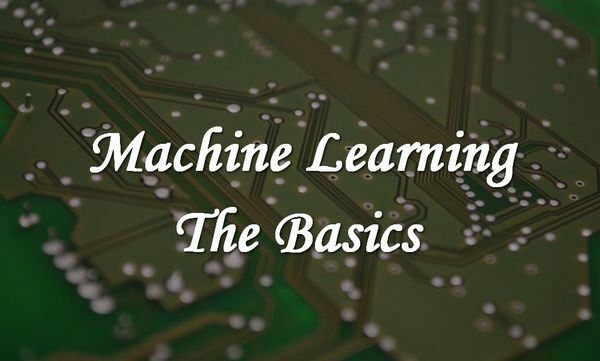 To put it briefly, machine learning is the machine’s ability to understand reactions and engagements made on their software to adjust its algorithm to produce the best result automatically. Machine learning is taking over the world of technology, and big companies can save millions of dollars by eliminating any human interaction with the same. Machine learning has become the buzzword about Artificial Intelligence because it involves a deep understanding of data that then makes changes entirely on its own. It is a tricky subject because having a machine that is not able to correctly break down such complex data could prove to be dangerous. This also opens up the opportunity for individuals to better themselves and create good machine learning code that can understand the system. By doing so, you will be able to effectively change the way a machine interacts with a human and helps them arrive at a result through work done entirely by the machine itself. Completing a machine learning course puts you in a good space where you can work for some of the biggest software companies in the world. What are the different types of machine learning? The algorithm here can apply learnings from the past and incorporate it into newer data and re-label the same. The algorithm makes predictions to the output values with the help of an inferred function. The model will also be able to understand and compare outputs along till the correct, most apt one is arrived at. Here, algorithms are utilised when there is information that is not classified. The learnings here works out the way systems can infer functions and describe hidden structures in the data. It draws inferences and describes hidden structures but will not be able to arrive at a stable output. Unsupervised machine learning is the first step and companies generally wish to push it forward and make it more supervised. This is where the challenge lies and anyone who can solve or understand this, will succeed. There are other types of machine learning methods as well, and once you do a proper data science certification courses, you will be able to understand the same in a more streamlined manner. Big data is going to dictate the way business is done in the future, and this is why a lot of companies are looking for individuals who can bring out these datasets and analyse it better. By coding better with the help of machine learning, companies can increase product sales and have a business that is sustainable in the long run.